Plush extra thick tear resistant material. Perfect for 6' and 8' tables. 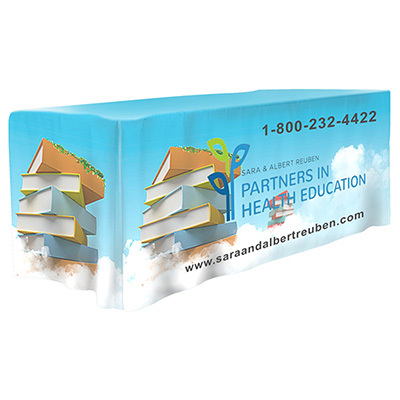 Product Size: 30" x 60"
Our promotional table runners impart a sophisticated and professional look to every event. The large imprint area on these covers ensures that your brand name gets immediate attention. 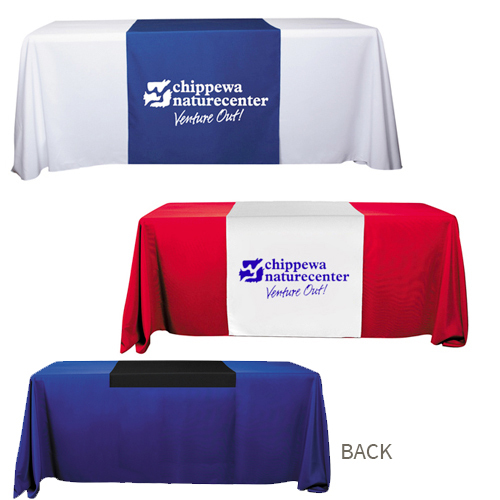 These table covers are made from premium weight 340D polyester fabric and perfectly fit 6’ and 8’ tables. 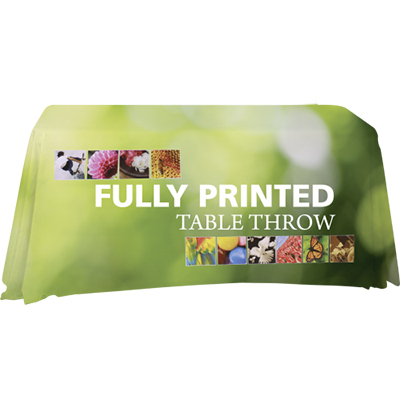 So let your marketing campaign gain momentum with custom promotional table runners. "This is a very convenient and useful giveaway. My logo is clearly visible and acts as an attention magnet." "We found this product an economical buy!" 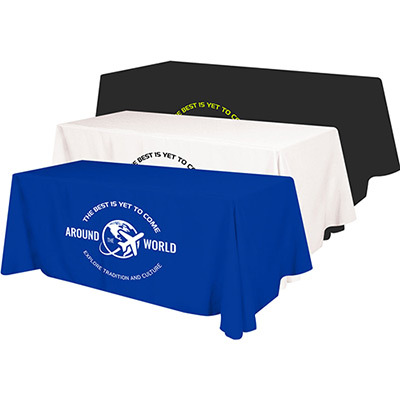 Flaunt your logo on these covers made of premium polyester fabric!